First time signing in to Popular Direct Online Banking? Mobile users may use this link to access their account information. With Popular Direct Online Banking you can manage all of your Popular Direct accounts in one place from the convenience of your desktop or mobile device. Easily access account information, make transfers, setup alerts, view statements and more. 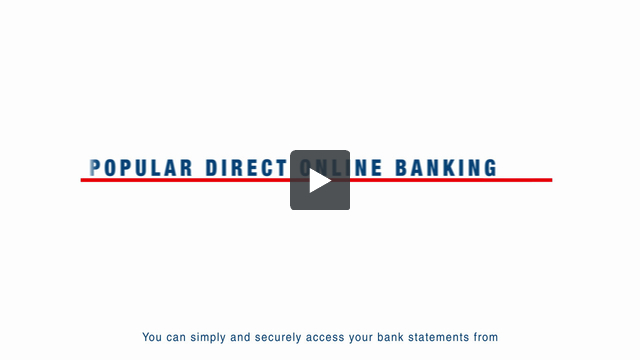 Access your bank statements from just about anywhere with Popular Direct Online Banking. View your statements quickly, easily, and securely.